As a caterpillar transforms from Cocoon to a beautiful butterfly as does our natural stone products. 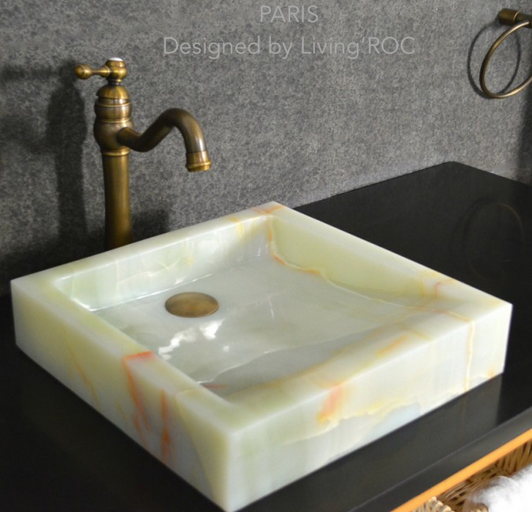 From a block of stone our LivingRoc stonemasons and craftsman can transform stone to art. 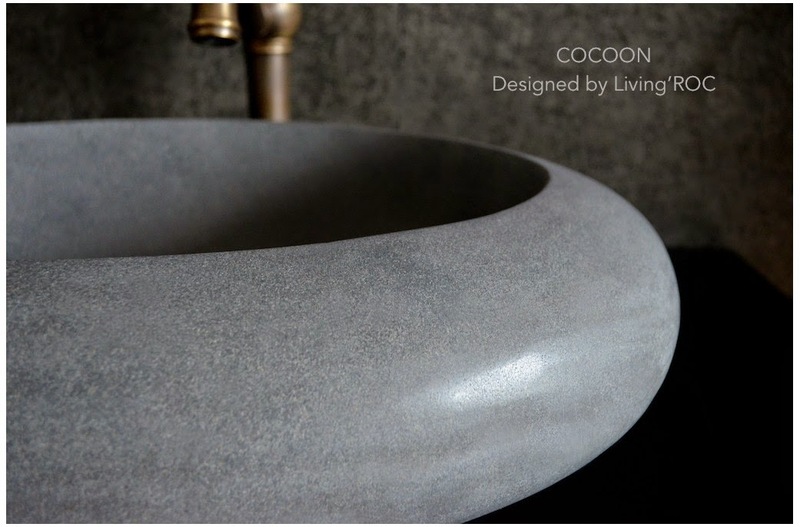 Oval oblong natural stone vessel sinks will make your bathroom outstanding, unique, and evoke a place of well-being and healing. This vessel sink is not only beautiful to look at it is also functional with its height and its edges allowing a large amount of water. 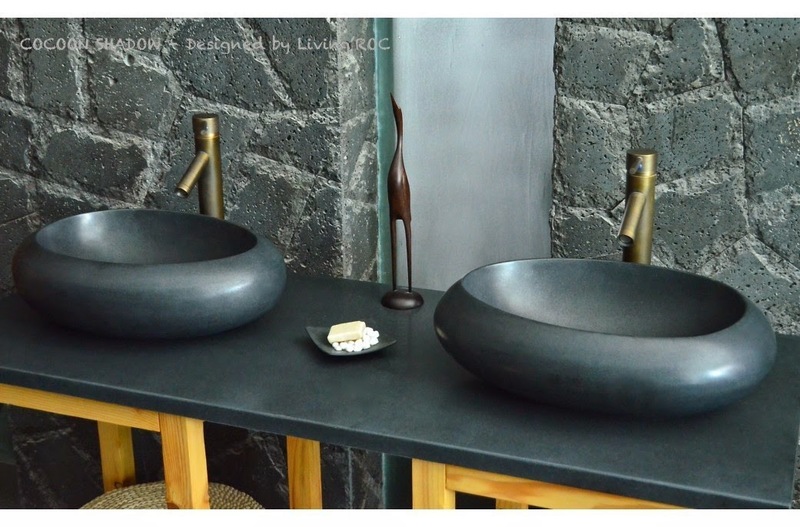 One will have difficulty in choosing which vessel sink to enhance their bathroom with. From the softness of the gray granite of Cocoon to the strong dominate black basalt granite of the Cocoon Shadow, and we must not forget the gentle touches of yellow streaked thru out Egyptian marble which is Cocoon Sunny. 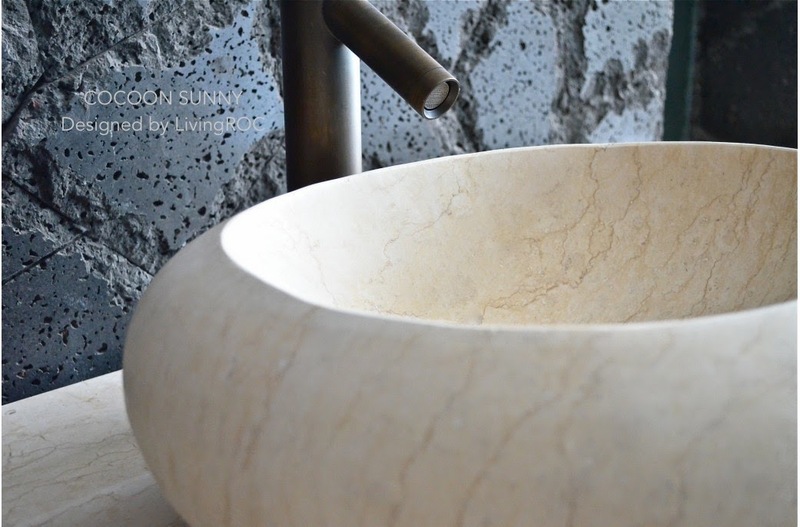 Transform your bathroom into an oasis of elegance, calm and tranquility with any of our creations here on our site.